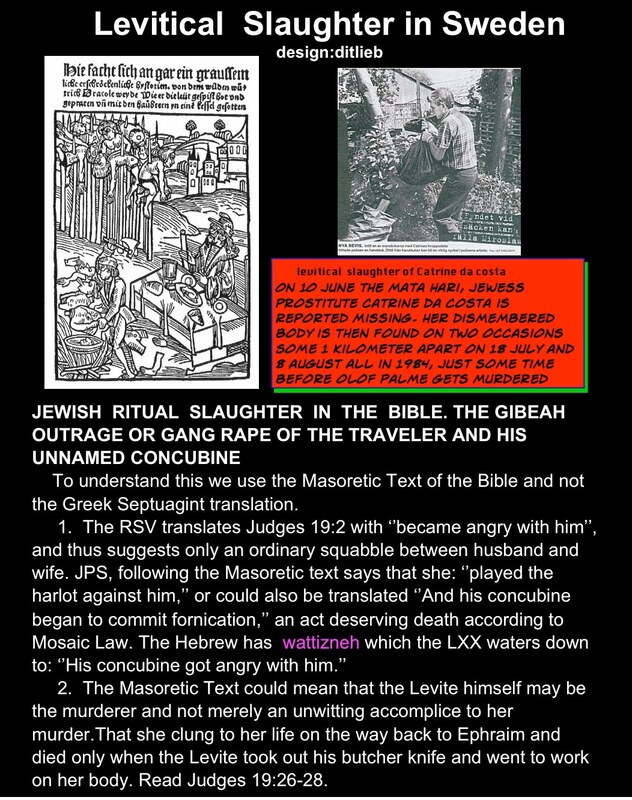 Who did the Levitical butcher killing of Jewess Catrine da Costa? Jewess Catrine da Costa who had turned turncoat handing out information about the Jewish Synagogue in Stockholm, Sweden; became a traitor and was murdered by cutting her body into pieces just like the Levite in the Holy Bible did. Parts of Jewess Catrine da Costa chopped up body have still not been found. Her murder is still at large and Sweden don’t want to investigate the matter.